Spotlight on French In The Village, A Unique French Boutique and The Best Specialty Store In Fair Oaks at 10351 B Fair Oaks Blvd. We're pleased to introduce Rose Erickson, owner of the French In The Village and Associate Member of FOVEC, in our Business Spotlight Series. We connected with Rose Erickson to learn more about her and the French In The Village. What is French in the Village and how would you describe it to a friend? French in the Village is a unique boutique offering French antiques and gift items on the bottom floor and manufacture clothing samples from the Netherlands and Canada (offered at wholesale prices) in the upstairs level. The clothing samples are one of kind and most fit up to a size 12-14. 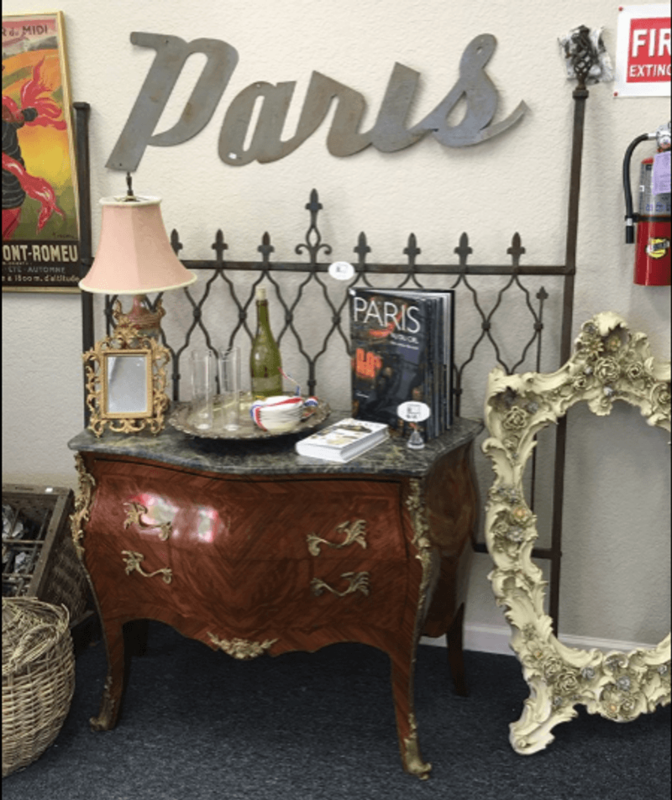 The boutique sits a little further back of Fair Oaks Boulevard, across from Sunflower and E.J's Little People. 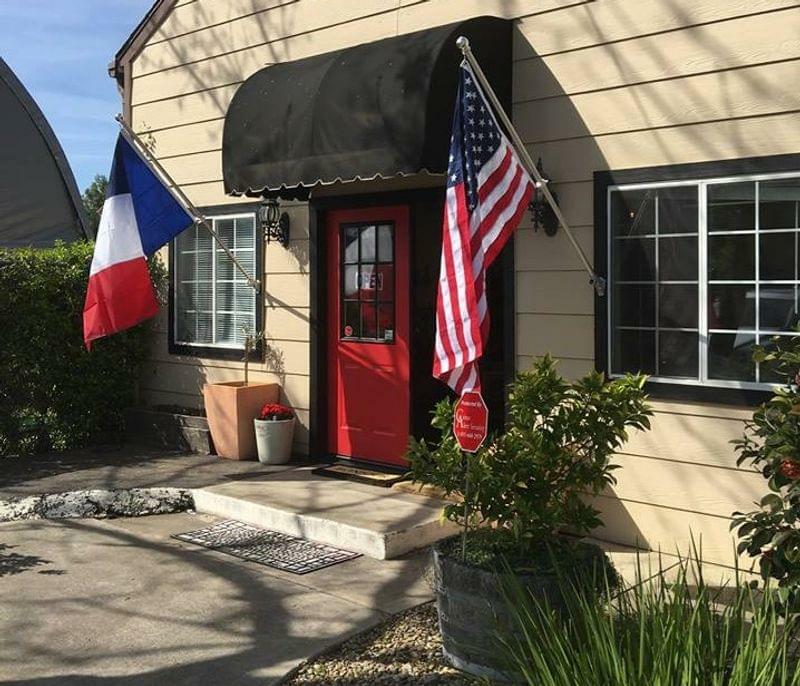 Look for the French and American flag always flying on the front of the store. Parking can be limited. There are three spots in front but you can park across the street also. On the weekends, you can park in the water district parking lot. I started the business because I had had one before and missed the interaction with the public. 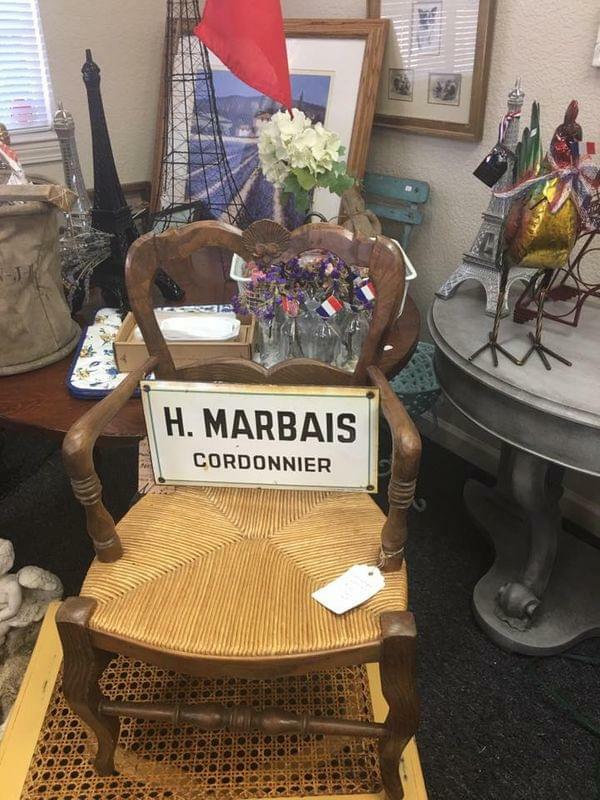 I love anything French and wanted to offer a collection of unique items to my customers. I travel to a different area of France every year and bring back unique items. I also love putting outfits of clothing together and the samples allow me to be creative. It is my "art" to help outfit women. The two - clothing and French items - seem to blend well together and keep the store unique. I wish people knew how unique the store is and what great buys one can get here. Also, while the location might be challenging, it is worth finding us! My return rate of customers (once they find me) is 96%! My most common question is "when is the next clothing shipment coming?" My biggest compliment is winning Best Specialty Store in Fair Oaks three years in a row. I chose to be in the Fair Oaks Village because I have lived and worked in Fair Oaks for 37 years. I was a English teacher and then vice-principal at Bella Vista High School, then San Juan High School, and then principal of El Sereno Independent Study. 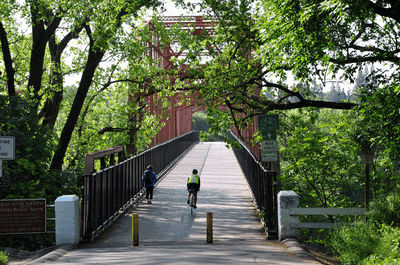 I wanted to stay in the community because I felt I was well connected and comfortable with the commute. I feel Fair Oaks is a jewel in the Sacramento area. I am currently offering a clearance rack of clothing for $15. The new spring/summer clothing samples are always at a very competitive price. 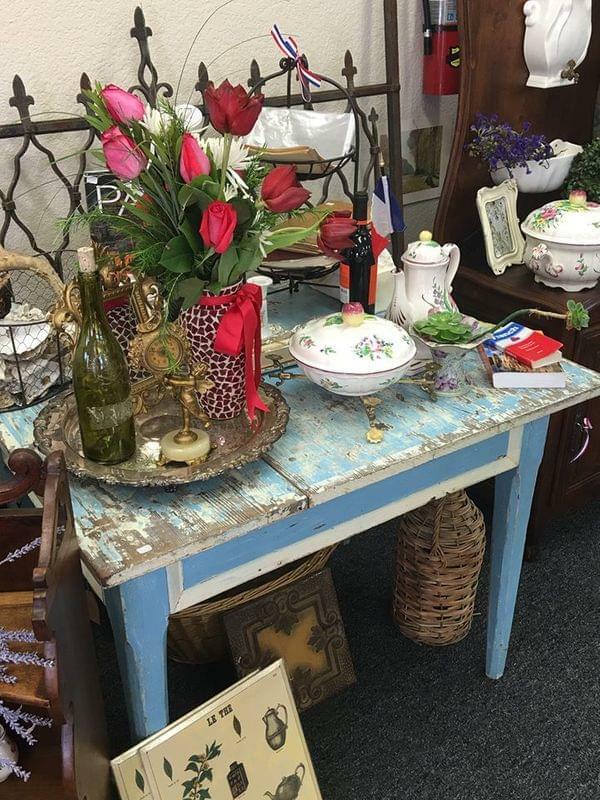 The French antique tables in the store are 20% off the selling price. My next event will be specials for Fiesta Days, May 5. What was the other business you owned before starting French in the Village? I owned the Moth Hole Consignment store for 15 years and sold it to one of my employees. I enjoyed having a "bigger" business, but French in the Village is manageable by myself for most days and I like not having the obligations of a larger business. 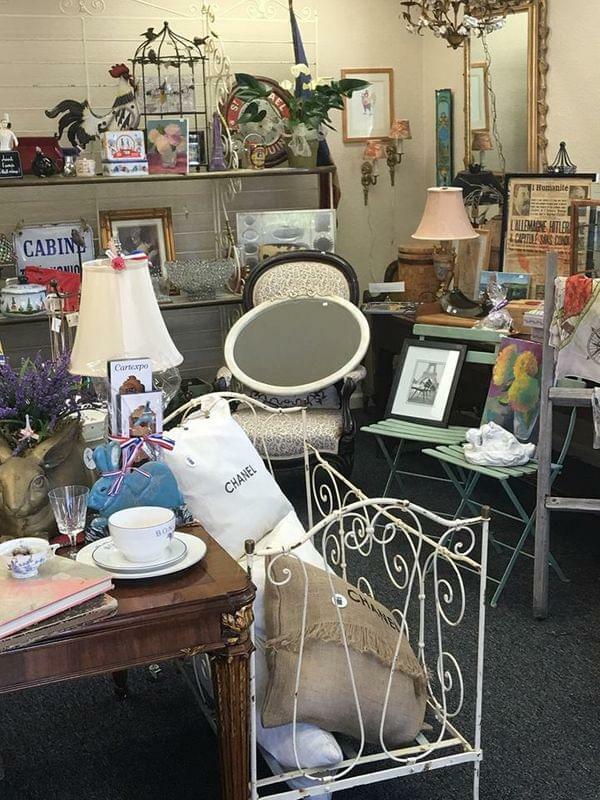 I enjoy the challenge of helping people make decisions, working one-on-one with customers, and my husband enjoys "scouting" for great antiques (and he helps me repair anything that I need help with for the store). I am past president of the Fair Oaks Chamber of Commerce and currently the secretary. I also belong to the Fair Oaks Rotary Club and am an associate member of FOVEC. What kind of work do you do with the Chamber, Rotary, and FOVEC? I am currently secretary for the chamber. I was president three years ago and enjoy being on the board and helping with decisions to be made. I am a member through the Chamber for Rotary. I was in charge of the student speech contest last year, but this year I was just a mentor for the student speech candidates. I am not active in FOVEC, but I do appreciate their effort to help promote the Fair Oaks Village. In your own words, what is the importance of community involvement? Why should individuals get involved? Community involvement is one of the best ways to give back to the community, develop new friendships & relationships, as well as to improve business. I love Fair Oaks and want to see it thrive, but that doesn't happen by sitting back and letting other people volunteer or carry the weight of what it takes for progress in the community to happen. I would love to see Fair Oaks "on the map" like Folsom. Fair Oaks is a unique village with so much potential if we all work together to make it happen.